One of the world’s greatest engineering feats, the Panama Canal is one of the world’s most popular cruise itineraries. Ports of call span the Caribbean and the Mexican Riviera, but the highlight of the cruise is the eight-hour transit of the Canal in which six massive locks raise and lower the ship 85 feet. Read about the monumental construction of the Canal as well as the history, culture, flora and fauna of this tropical region. Detail provided on popular ports normally part of a Panama cruise, from Florida to California. Color photos and maps throughout! 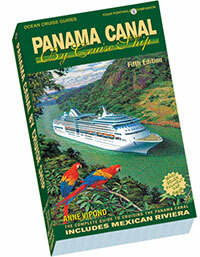 Comes with giant color pullout map of Panama Canal showing detail of attractions and sights along the entire length of the canal.